(PC Compatible only – Windows® XP, Vista, 7, 8). If your organisation requires five or more WebCal L199 units, please contact our team of experts for a quotation. The Flowline WebCal software is a PC utility program that enables users to easily configure and test compatible Flowline level sensors to their measurement and control requirements. 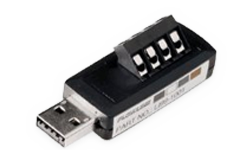 Download your free copy in English or Chinese and connect your sensor through our Fob USB® adaptor.